Our pricing structure is simple and flexible: you only pay for the courses you choose. We reward long-term students with permanent discounts, so the longer you study, the less you pay per week. 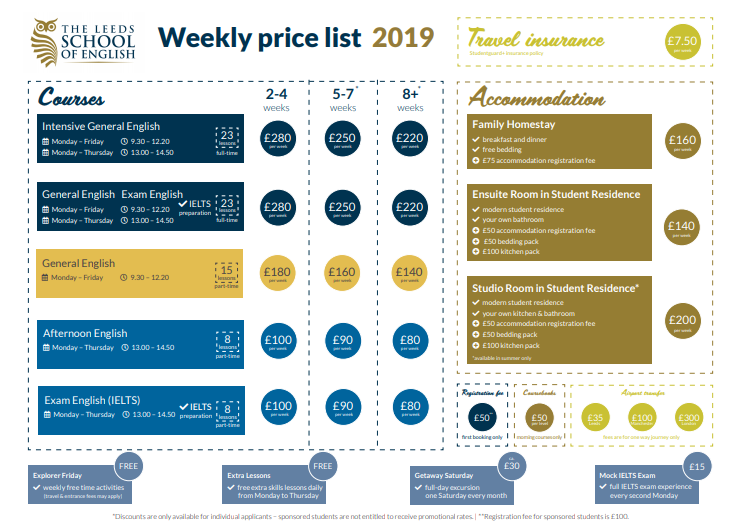 You can see and download our standard prices below – but we always have a range of great offers, so make sure to check with us when you book!